Celebrate the present by visiting the past at the newest Lexington Hotel in colonial Williamsburg. This beautifully landscaped, contemporary hotel nestled in the heart of Colonial Virginia is your portal to Williamsburg and only a short drive from Busch Gardens. Our new warm and welcoming lobby with its Barista Cafe is a nice place to unwind after a long trip or a busy day. The hotel offers 247 spacious, comfortable guest rooms including 10 elegantly appointed suites, and over 18,000 square feet of professional meeting and banquet space, accommodating 9 to 900 attendees. Scheduled to open in July 2008, our dining room will feature a gourmet menu and elegant Sunday brunch. Recreational facilities include a competition-size heated indoor swimming pool, adjacent hot tub and fitness center. 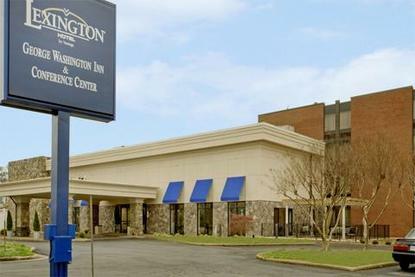 At the Lexington Hotel - George Washington Inn and Conference Center, from check-in to check-out, you can be assured that hospitality is being delivered to the highest of standards. .